Why am I considering doing this show? Each show you participate in should complement your overall marketing plan including other marketing strategies such as advertising, direct sales, direct mail and telemarketing. What do I want from this show? Every show has a separate business objective such as to gather leads, create an image, meet the media, introduce new products or services, find dealers and reps., or to conduct market research. The trick is to pick one objective and focus all your efforts on achieving it. Is this the best show for my market? Have you checked out the alternative shows in this market? The biggest shows are not always the best. Don’t limit your exhibiting opportunities by jumping at the first show that comes along. Who are the other exhibitors? Who is exhibiting this year’s show and who has exhibited in the past? The answers not only let you plan your exhibit properly, they are a good indicator of what the visitors expect. What do I know about the show promoter? A lot depends on the expertise of the show manager. Check their experience carefully. Do they have the credibility to deliver what they promise? Are my products and services ready for this market? Have you done your homework? This is particularly important when you are entering new markets. For foreign markets, price should include freight, insurance, duty and brokerage. You should understand terms of credit, packaging and labeling requirements. You will have to understand how business is conducted, all local customs and environmental considerations. Do I have resources to do the show properly? Unless you are prepared to do the show properly, don’t waste your time. The proper “resources check” includes such things as money, time, personnel and product readiness. Do I have a follow-up plan? Before you exhibit you will need a follow-up plan in place. In addition to personal visits, you should consider follow up through direct mail, telemarketing and other sources. Your first contact should be within 7 – 30 days after the show. Are you – show ready? 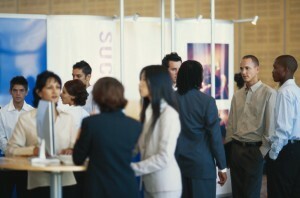 All too often exhibitors work a show with the same skills they use in other areas of marketing. Shows are different, requiring a unique set of skills. Honing your sales expertise to a situation where time is an obstacle is the real challenge and unless exhibitors understand this, trade shows won’t work. Show biz has reached a level of sophistication that has left inexperienced exhibitors in a quandary. Some are disillusioned and others limp through the exercise and never realize their potential. For the prepared, a well-planned show can put the world at your doorstep. © 2007 by Barry Siskind. Barry Siskind is author of Powerful Exhibit marketing. He is also President of International Training and Management Company who offers a number of services to exhibitors including the creation and implementation of a mystery-shopping program. Contact Barry at barry@siskindtraining.com for more information.